Here is another knight we'd have found on a tour of Mr. Mackay's Arms and Armor collection. This knight is wearing Maximilian Armor made in Germany in 1525. 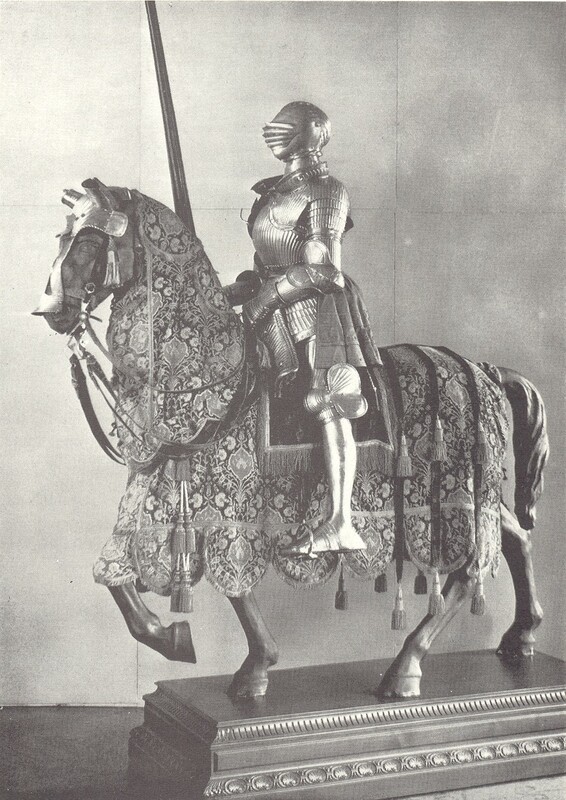 This display stood at the north end of Mackay's Great Hall together with yet one more mounted knight that now resides in a private collection in New York.